Khosla Ventures Raises $1.1 Billion. It's For More Than Just Clean Tech. Either Vinod Khosla has the magic or institutional investors are easing back into venture capital, or both. His Khosla Ventures raised $1.1 billion for two new funds, with about $800 million going to Khosla Ventures III and $275 million for a new seed fund. Taken together, the $1.1 billion is the biggest capital raise for a venture firm in two years, and if you count it as a first-time fund, it is the biggest capital raise in ten years. While these are technically the third and fourth funds managed by the firm, it is the first time Khosla Ventures is taking outside money. (CALPERS, the retirement fund for California state employees, is the biggest new limited partner). Up until now, the capital primarily came from Khosla himself, who is a billionaire, a former star partner at Kleiner Perkins, and a co-founder of Sun Microsystems. He founded Khosla Ventures in 2004, and now the firm has eight partners. The firm also confirmed today that former Facebook CFO Gideon Yu is now a partner (you read it here first), as is new hire James Kim from CMEA Capital. 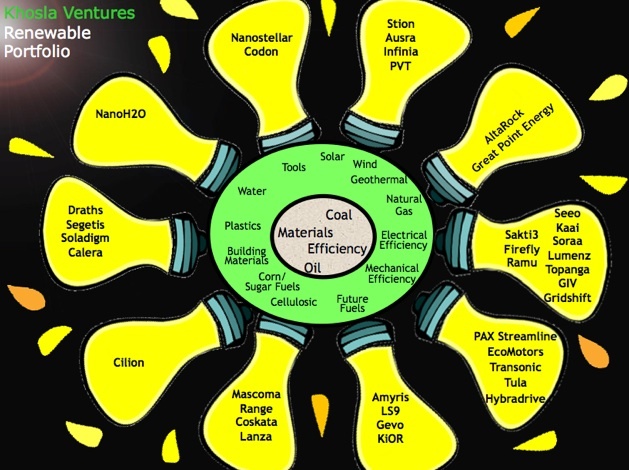 While Khosla is best known for funding clean tech startups these days, that is only about two thirds of his existing portfolio. 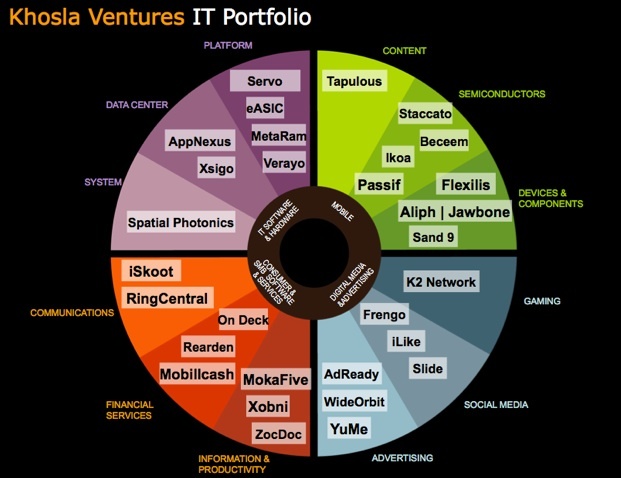 Khosla Ventures is also an investor in Tapulous, Aliph/Jawbone, iLike, iSkoot, Slide, Rearden Commerce, RingCentral, and and Xobni. The new funds will continue to focus on both clean tech and IT in general.